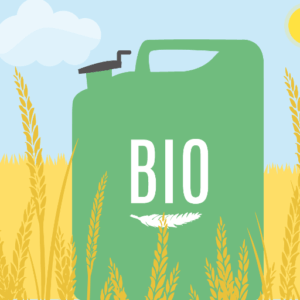 This is the first in a three-part series making the case that the development of biotech traits for insect resistance and herbicide tolerance are the most substantial innovations in sustainable agriculture in the last three decades. Here, I lay out the context in which I believe they should be assessed relative to other innovations competing for the crown. In part two, I lay out the data and evidence of their overall environmental impacts. And in part three, I’ll make my closing argument after looking at the impacts on China, India, Pakistan and South Africa. 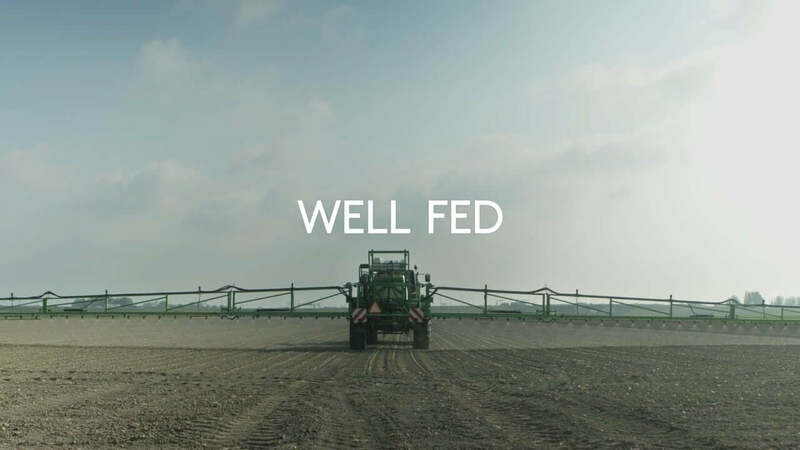 If you haven’t watched the new documentary Well Fed yet, I highly recommend it. Dutch film-maker Karsten de Vreugd has standard issue lefty/urban attitudes about organic and pesticides and he and his friends think GMOs are a bad idea. Except for one friend, his best friend. Hidde Boersma is a science journalist with a PhD in molecular biology who challenges de Vreugd to rethink his views. The film follows them around the world as they seek a balanced look at the issue, with Boersma doing a fantastic job of making the science of genetics and plant breeding accessible to the rest of us. After making stops to interview a local representative of Greenpeace and some other anti-biotech advocates, they travel to Bangladesh to track the success of Bt Brinjal in reducing insecticide use and increasing yields and profits for smallholder farmers. Then it’s on to the Philippines to track the progress of Golden Rice and understand the potential it holds for reducing the devastation caused by vitamin A deficiency. 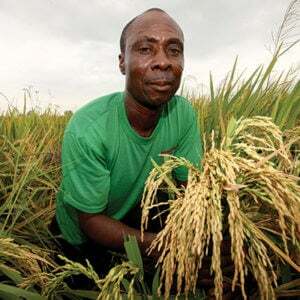 Greenpeace has been vehement and aggressive in its opposition to Golden Rice, which the organization sees as a Trojan horse to bring GE crops into the developing world. These encounters are effective in bringing de Vreugd around in seeing genetic engineering in agriculture outside of the typical, narrow criticisms around industrial agriculture and monocrops, corporate control and profit. I have to admit I got a bit frustrated with what I see as an all too common strategy of persuasion regarding the benefits of biotech in ag. Playing up the potential of virtuous, NGO-style biotech crops for the Global South is an important, but incomplete strategy in making the case for biotech. It’s something I’ve seen over and over, distancing from industrial agriculture in order to get someone to see the issue in a different light. I get it. It works. It worked on me. But it’s not enough. 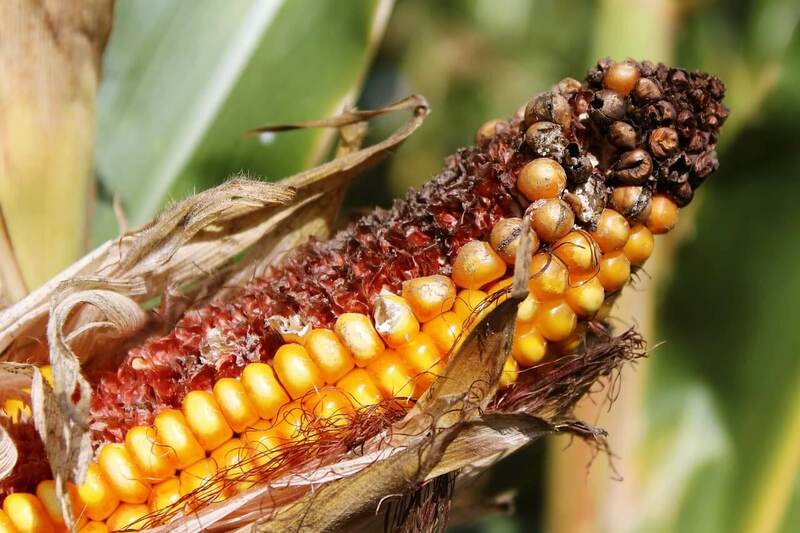 Biotech advocates also need to make the case for herbicide tolerance and insect-resistant commodity crops instead of deflecting away from the issue. They need to sing the praises of Bt corn and Roundup Ready soybeans. I don’t mean to criticize the film, which I loved, and that probably wasn’t the place for it, but somebody has to make the case for the role biotech has played in industrial agriculture. That’s what we’re going to do now. 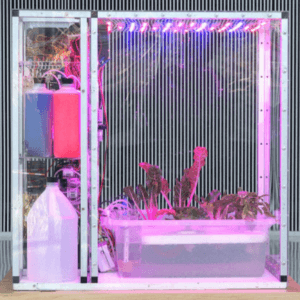 Industrial agriculture isn’t going anywhere. The question is what sort of industrial agriculture are we going to have? There are over 7 billion people living on this planet, most of them in cities. In the US we have over 330 million mouths to feed with less than 2% of the population engaged in farming. For better or for worse, we live in an industrial society. Barring some top-to-bottom reorganization of our economy, we are going to have an industrial food system. If there is a set of political reforms that would enable an economically viable mass form of neo-peasant farming in developed countries, I haven’t heard anyone make the case for what they would be. Should there be vibrant, regional systems of small and mid-sized farms producing the freshest, most delicious fruits and vegetables, wines, meats and cheeses serving farmers’ markets, farm-to-table restaurants and local grocers? Absolutely! But they are never going to displace production ag in a substantial way. The Pioneer Valley in Western Massachusetts is about as well poised for locavorism as any place in the US. They have tons of wonderful farms in a fertile valley cut by the Connecticut River. They have two college towns with exactly the kind of demographic of citizens dying to support local farms — including commitments from university and college dining commons to source local food. A recent estimate put their local consumption at 12%. That’s only about a half million people under ideal conditions. How you would get as high as 12% in Boston or New York is unclear to me. Maybe that’s looking at a goal that’s a little too bespoke. Let’s zoom out to a simpler problem. One of the central criticisms of our current industrial food system is that it relies too heavily on just two crops — corn and soy. It would be better for our health and the environment if we had a more varied diet and more diverse crop rotations. The food system would be more resilient with greater diversity, and we’d need less synthetic fertilizer planting more legumes. Doubling production of the next top eight grains and pulses would be a worthy reform of our industrial food system. Corn damaged by the fall armyworm. 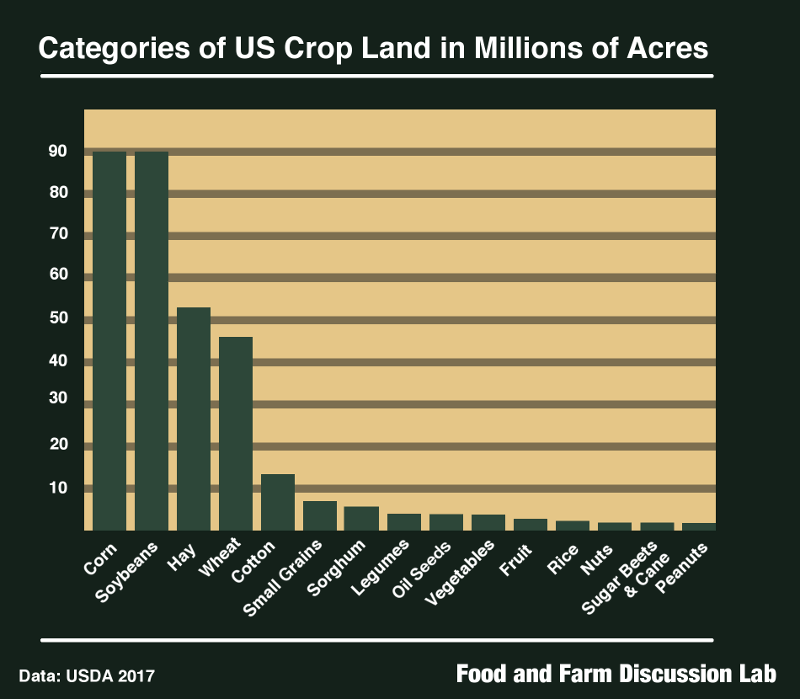 So if you could double demand for these crops, you could ostensibly displace a whopping 5 million acres each from the 90 million acres each of corn and soybeans. Which would be no small feat. So now we would only be producing 85 million acres of corn and 85 million acres of soybeans. We’ll put aside any lack of viable plan for doubling consumption of oats, rye, dried beans, dried peas, lentils, millet, chickpeas and barley. 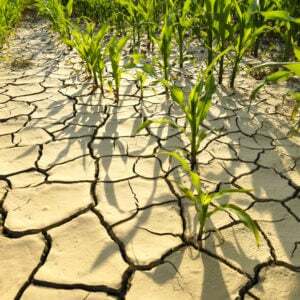 Wave a magic wand getting rid of ethanol and maybe we’d get corn production down to 60 million acres. So, even after two giant magic wand reforms (and to be clear, I’d love to see both happen, but I don’t see a clear path to get there), if you want to make farming in the United States more sustainable, outside of livestock production, making corn and soy production more sustainable is still where the most leverage is. In any effort to making farming more sustainable, staple crops are where the action is, especially the four crops on the left hand side of the chart above. Compared to revolutionary changes that we all hope are on the way — in the speech he mentions nitrogen fixation in non-pulse crops and the biofortified crops in the pipeline to address major nutritional deficiencies — I suppose the contributions of insect resistance and herbicide tolerance could be considered marginal. Nevertheless, compared to any other innovations over the last three decades, I would propose that the Bt trait in corn and cotton, and the Roundup Ready trait in corn, soybeans, alfalfa, canola and sugar beets are two of most consequential innovations in making agriculture more sustainable. 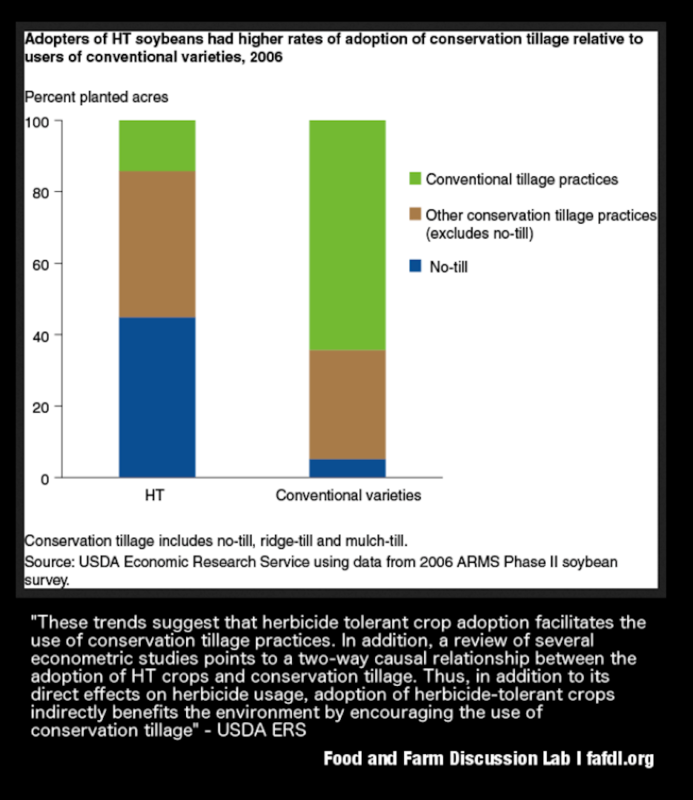 The only thing I would rate ahead of the Bt and Roundup Ready traits is the wide adoption of no-till and conservation tillage during this period. And of course, Roundup Ready crops played a significant role in reducing tillage — a major reason RR was has been so consequential. To underline a key component in this judgement, it’s only innovations in the major staple and commodity crops that can scale to major significance. The only other arena where breakthroughs could be as consequential is in meat production. When Bt in corn reduces insecticide use, in the US that’s happening across something close to 90 million acres, and on nearly 13 million acres for Bt cotton. When Roundup Ready displaced tillage and other more impactful herbicides in soybeans, that’s happening on nearly 70-90 million acres of soybeans depending on the year. 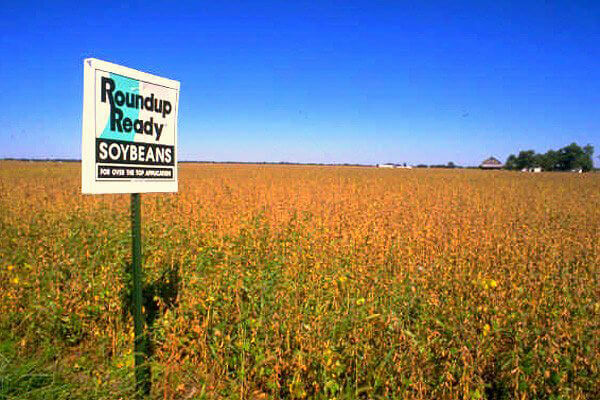 Roundup Ready crops account for nearly 200 million acres of US cropland. In one paper that tried to model the impact of Roundup Ready soybeans on reductions in tillage found “the adoption of conservation tillage and no-tillage have been about 10% and 20% higher, respectively, due to the advent of glyphosate tolerant soybeans.” That’s several million acres of no-till and conservation soybean production. For comparison, in 2016 there were 124,591 acres of organic soybeans in production, with the vast majority in conventional tillage. If organic farming researchers could finally figure out how to make no-till in organic soybeans viable with the roller crimper, that new innovation might be applied up to something like 100,000 acres. 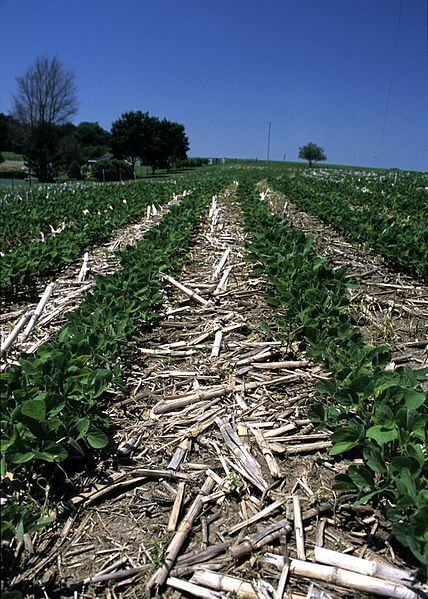 Over two decades after the adoption of Roundup Ready crops in conventional no-till systems, they are still struggling to make no-till viable in organic production at scale. Beyond the shifts in tillage, the improved profile of herbicide use, the large reductions insecticide use across hundred of thousands of acres of farmland, there are the less talked about reductions in fuel use that follow from reducing tillage and fewer tractor passes for spraying along with the carbon savings from lower fuel use and carbon sequestration from no-till. But the most overlooked benefit and perhaps the most consequential is the reduction in pesticide poisonings for smallholder cotton farmers in developing countries. Those reductions in illnesses number in the millions and we’ll try to quantify that at some length. I also include impacts on farm income for the middle-income country of Argentina and the developing nations of China, Pakistan, India and South Africa because sustainable farming costs money. It’s much easier when you can invest in the right infrastructure, better seed, and plan on a longer time horizon. Marc Brazeau is the GLP’s senior contributing writer focusing on agricultural biotechnology. He also is the editor of Food and Farm Discussion Lab. Follow him on Twitter @eatcookwrite.